“This is the oldest established auctioneering firm in the Colony. It was founded by Mr. Geo. 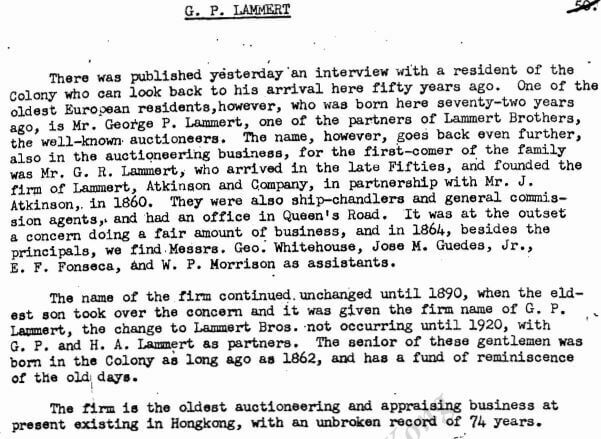 R. Lammert, the father of the present partners, and, for upwards of forty years residents in Hongkong have been accustomed to go to Lammert’s sale rooms for bargains of all descriptions. A special feature is made of selling goods to the Chinese, and the firm are open at all limes to receive goods on consignment for which prompt settlements are made. The firm act as brokers, surveyors, marine appraisers, and appraisers of goods damaged either by fire or water. They conduct their auctions in Chinese whenever there is a purely Chinese audience present. The senior partner is Mr. Geo. P. Lammert, who is at present in Shanghai. He is a captain in the volunteer force and is one of the best-known vocalists in the Colony. During his absence the business in Hongkong is managed by Mr. H. A. Lammert, who personally conducts all the sales. 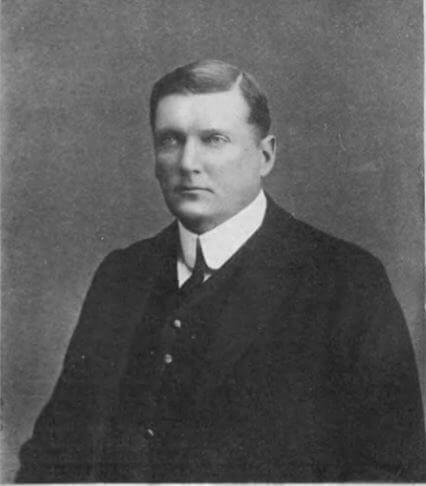 He is assisted by his brother, Mr. L. E. Lammert. In the early days the firm occupied premises upon the site upon which Messrs. Jardine, Matheson & Co. are erecting their new hong. Now, however, their auction rooms are at No. 4, Duddell Street, an excellent situation in the centre of the town and less than five minutes’ walk from the leading business houses. Wright, Arnold : Twentieth Century Impressions of Hongkong, Shanghai, and Other Treaty Ports of China: Their History. People, Commerce, Industries, and Resources. London: Lloyd’s Greater Britain Publishing Company, Ltd., 1908.